Are you gearing up for Cyber Monday? 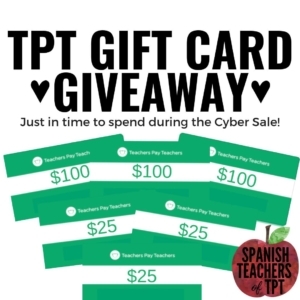 The Spanish teachers of TPT want to help you get in the shopping mood a little early! There are THREE different contests with lots of prizes, so make sure to enter ALL of them! Giveaway #3 is right here. Then scroll down to find the link to Giveaway #2 and Giveaway #3! Here are even MORE chances to win! Click each image to be taken to the next contest! 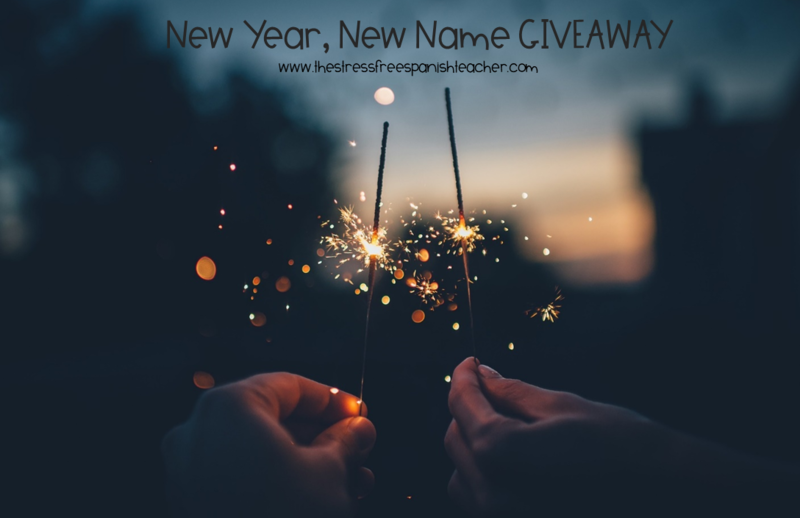 A Giveaway to celebrate my STORE NAME CHANGE! As I continue to grow as a teacher and curriculum author, I realized a desire to change my store name to more accurately reflect the driving force behind my shop: Wanting to help teachers be LESS STRESSED. My main goal in writing lessons is to help teachers RECLAIM THEIR TIME. Nothing about my shop will change, I’m still the same author and teacher who you can rely on for engaging resources! The “LaProfesoraFrida” is still attached to my store name for the moment, as I don’t want to make an abrupt change that would confuse people. I want teachers to get used to searching “The Stress Free Spanish Teacher” in the TpT search box (instead of “LaProfesoraFrida”). Be an email subscriber and OPEN YOUR EMAILS! Details will be inside! 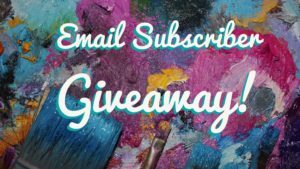 Email subscriber winners will be announced inside the emails. I will be giving away lessons and store credit! Día de los Muertos Store Hop & Giveaway! El Día de los Muertos is a time to remember loved ones that have gone before us. This year, some of your favorite Spanish stores on Teachers Pay Teachers are offering you the chance to get some fantastic resources and a chance to win a $50 TpT gift card. 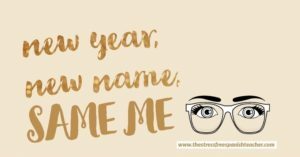 http://thestressfreespanishteacher.com/wp-content/uploads/2017/07/DOTD-Giveaway.png 704 1088 admin http://thestressfreespanishteacher.com/wp-content/uploads/2018/08/Eyes-and-Glasses-300x149.png admin2016-10-29 02:26:242017-07-31 15:18:32Día de los Muertos Store Hop & Giveaway! 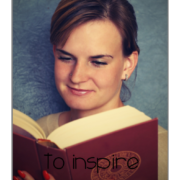 Are you a world language teacher looking for a little inspiration? Whether you are getting ready to head back to school or looking for a way to motivate you through the mid-year slump, you can definitely find some inspiration from this teacher-recommended list of books below. I always say that the more we share, the more we can learn. I posted an open question to an amazing group of Spanish teachers on Facebook and they had an outpouring of responses with plenty of books to help encourage you through the school year! 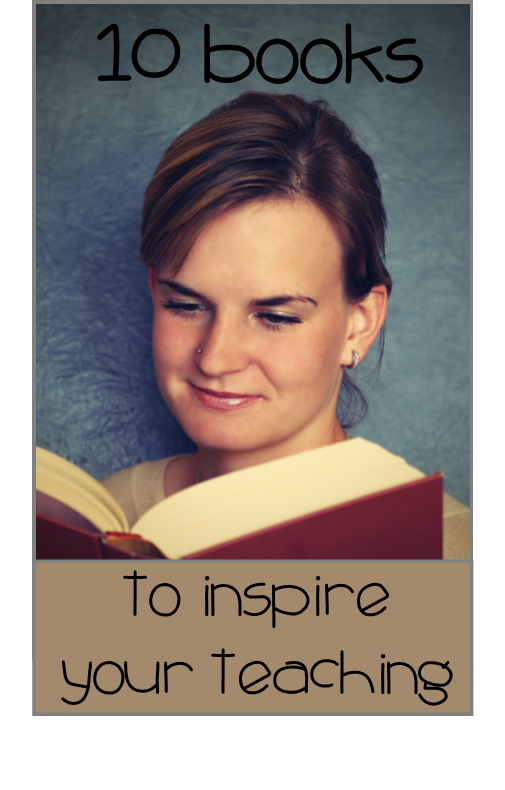 Please peruse this list of books for teachers and leave a comment below if you have been particularly touched or inspired in your teaching by a book you have read! 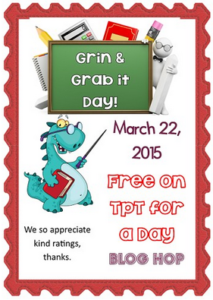 This post is about Grin and Grab it Day 3-22-2015. Several sellers are participating, and we hope you find this to be a good opportunity. 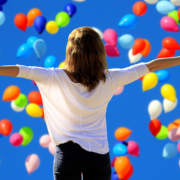 If you have read this blog before, you will know Grin and Grab it Day is when we make some usually priced Teachers Pay Teachers products free for the day. We do not all live in the same time zone, so just check and see if the items are free, and”grab” them if they are. Don’t wait! Of course, we so appreciate kind feedback if you like a product. This post will also point out some always free items, just in case you weren’t aware of them. 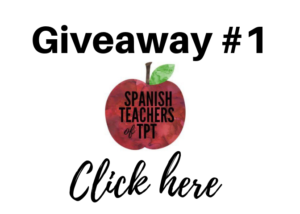 La Profesora Frida’s TeachersPayTeachers gift code GIVEAWAY! 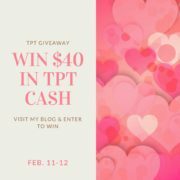 Celebrating 1,000 followers on TpT! I am feeling so blessed and so humbled to have reached 1,000 followers in my TeachersPayTeachers store. 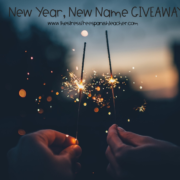 I want to celebrate and give back to YOU, the people who keep me motivated to continue creating lessons to share with teachers around the world. This is going to be a FAST giveaway, lasting just 2 days! You have today and tomorrow to enter! http://thestressfreespanishteacher.com/wp-content/uploads/2018/08/Eyes-and-Glasses-300x149.png 0 0 admin http://thestressfreespanishteacher.com/wp-content/uploads/2018/08/Eyes-and-Glasses-300x149.png admin2015-02-23 08:29:002015-02-23 08:29:00La Profesora Frida's TeachersPayTeachers gift code GIVEAWAY! Celebrating 1,000 followers on TpT! Spanish Valentine’s Day Lessons!! El Dia de San Valentin, El Dia de los Enamorados! Valentine’s Day is just around the corner!! Come check out La Profesora Frida’s BIG Bundle of Valentine’s Day Activities for your Spanish classes! There are a bunch of fun activities in this packet that you could use all week! 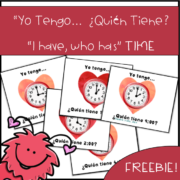 Choose one or two to supplement your lessons each day leading up to Valentine’s Day, or set up Dia de San Valentin stations and have students work through the activities at their own pace. They’re not only fun for you to use with your students, but are also great to have on hand for your Fast Finishers during the month of February, and are perfect emergency sub plans because they are self contained lessons. 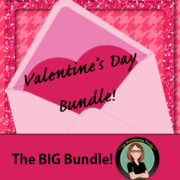 http://thestressfreespanishteacher.com/wp-content/uploads/2015/02/Valentines-Day-Bundle-1.png 591 561 admin http://thestressfreespanishteacher.com/wp-content/uploads/2018/08/Eyes-and-Glasses-300x149.png admin2015-02-08 18:22:002017-08-30 18:48:42Spanish Valentine's Day Lessons!! El Dia de San Valentin, El Dia de los Enamorados! Spanish class: REVIEW Games for Verb Conjugation! Your ENTIRE Spanish class ALL participating in a REVIEW of SPANISH VERB CONJGUATIONS and every single one of those kiddos having FUN! Yup, totally possible! 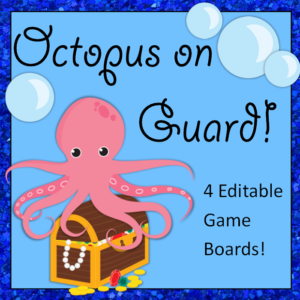 Octopus On Guard is a super fun game that your students will actually ASK to play! Click here to see the “little” Octopus On Guard trial package. One of the BEST things about this game: NO prep! Just print and go! The premise of the game is that the Octopus is guarding her treasure and students must “pop the bubbles” in the way! –Students pair up and are armed with a marker (or highlighter or colored pencil, etc!). –The teacher calls out conjugated verbs in English and the students race each other to find the correct conjugations in Spanish. –When a student finds the correct conjugation, they “pop the bubble” by coloring it in. –Whoever finds the correct conjugation first, earns a point. –The student with the most points at the end wins! Another way to play this as a whole class is to use it as a “matamoscas” or “flyswatter” game! 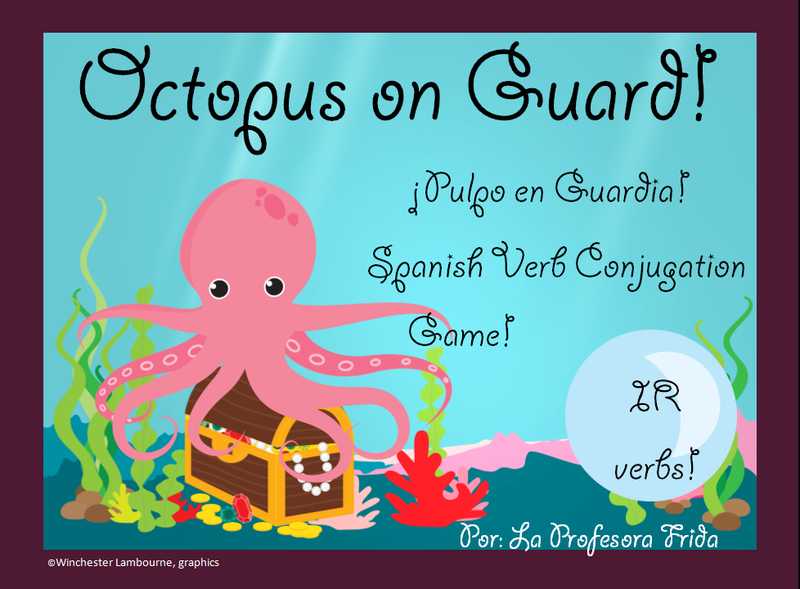 Spanish -AR verbs Octopus On Guard! Spanish -ER verbs Octopus On Guard! Spanish -IR verbs Octopus On Guard! 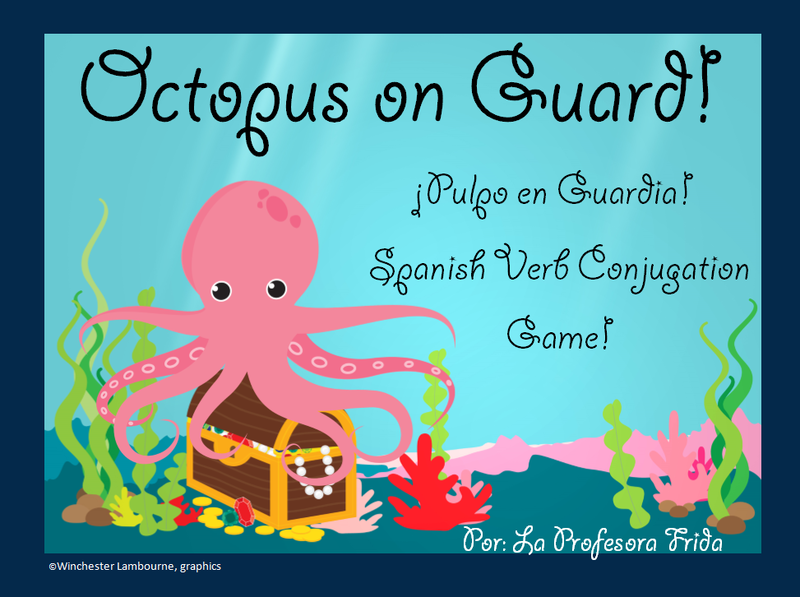 And I recently added a bunch of Octopus On Guard games that have pictures instead of words to review vocabulary, AND… (drumroll please) There is now an EDITABLE Octopus On Guard set so you can create games to match YOUR curriculum! Hurrah! 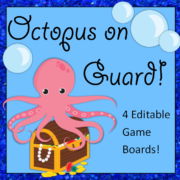 “Octopus on Guard” is a great review game and motivator. This game can go quickly! It’s a great warm up activity or closer at the end of a lesson. You can laminate these and use them over and over again throughout the year! I hope you LOVE these games as much as my kiddos! http://thestressfreespanishteacher.com/wp-content/uploads/2015/01/Octopus_Editable_1.png 697 700 admin http://thestressfreespanishteacher.com/wp-content/uploads/2018/08/Eyes-and-Glasses-300x149.png admin2015-01-10 18:08:002017-08-30 18:55:27Spanish class: REVIEW Games for Verb Conjugation!